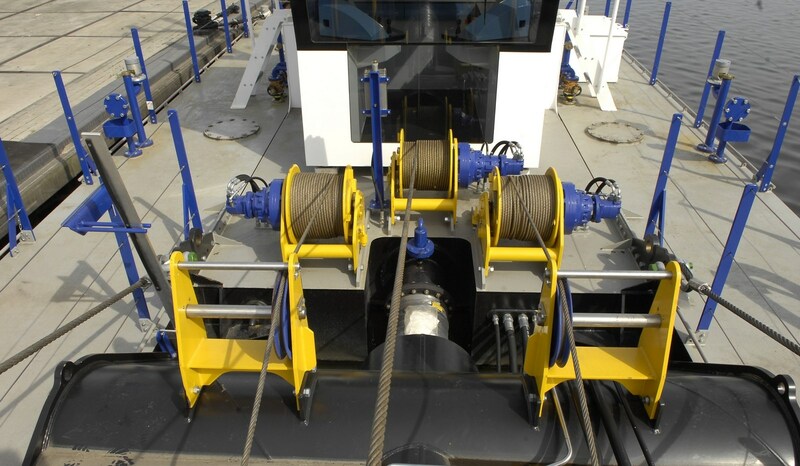 The dredger has been designed for heavy use in the dredging industry. 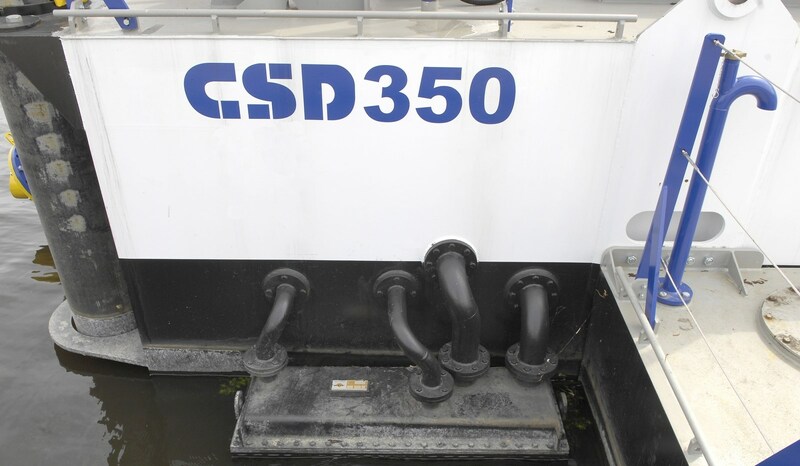 Scantlings are well above class requirements. 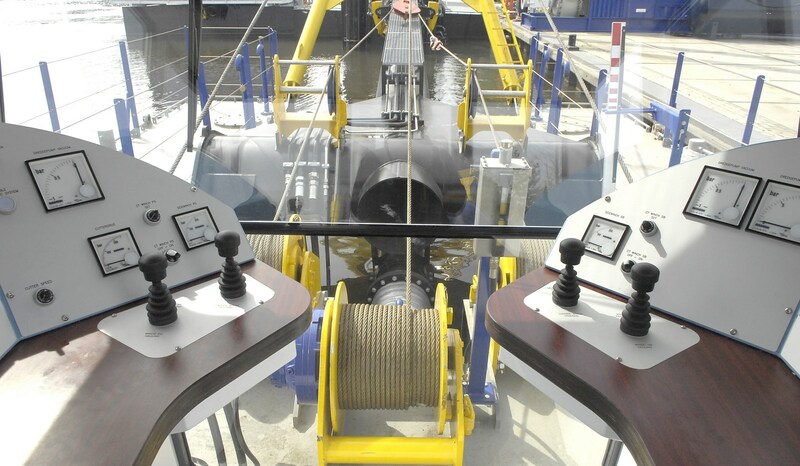 The cutter is directly driven by a hydraulic 55 kW motor with continuous variable rpm. 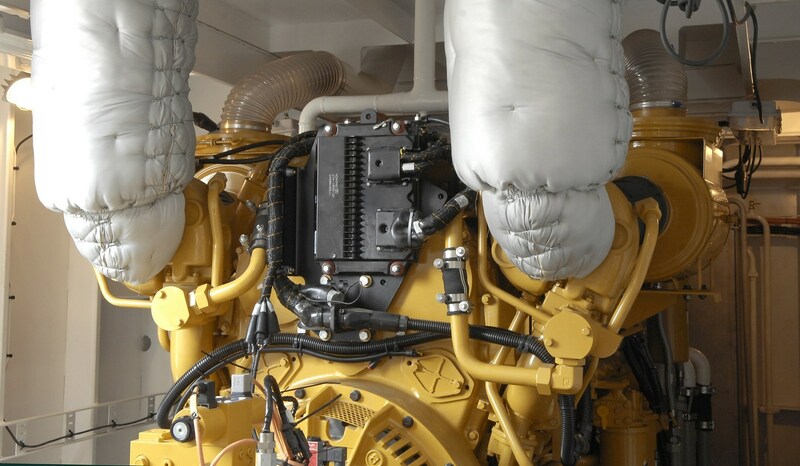 The engine room allows plenty of space for maintenance of the dredge pump, diesel engine, gear box and hydraulic and electrical systems. 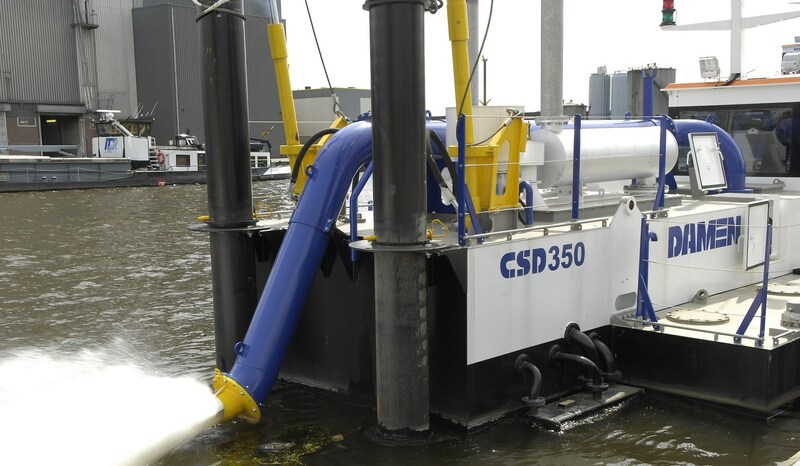 The CSD350 works at a max dredging depth of 9 m.
Cutter Suction Dredger 350 "YN561103"
A reservoir is kept clean using a CSD350. 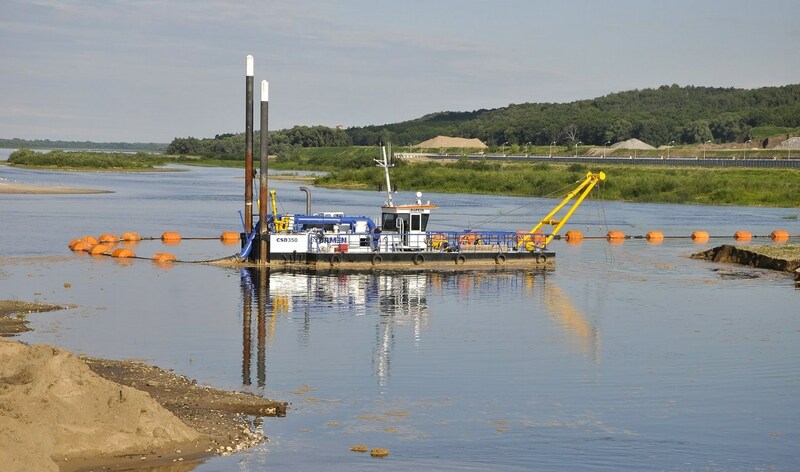 The cutter dredger has been adapted for working at a max dredging depth of 10 m.
Cutter Suction Dredger 350 "YN561102"
A CSD350 was delivered for maintenance dredging in a reservoir. 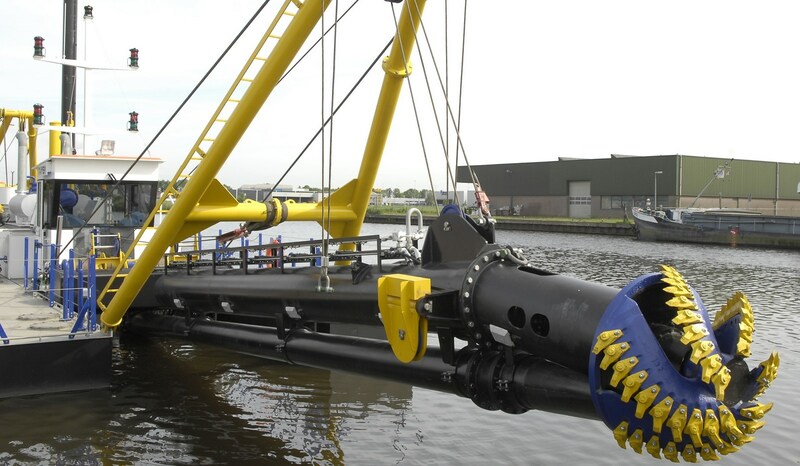 Due to the deeper dredging depth of -10 m adaptations were made. 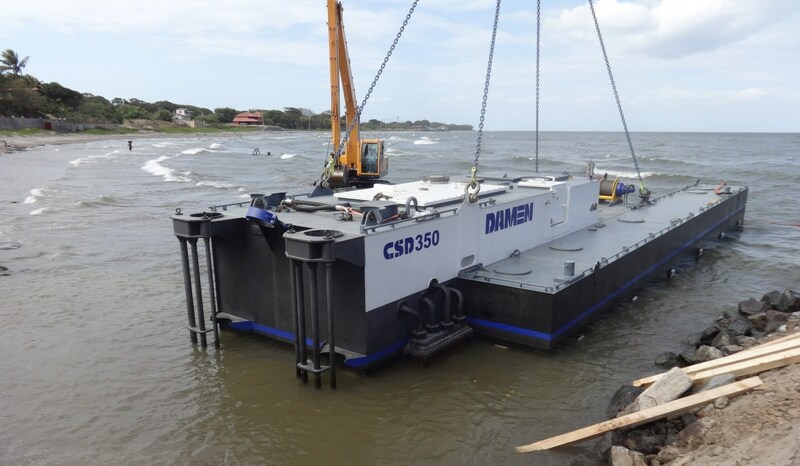 Cutter Suction Dredger 350 "YN561101"
A CSD350 has been delivered to Nicaragua. 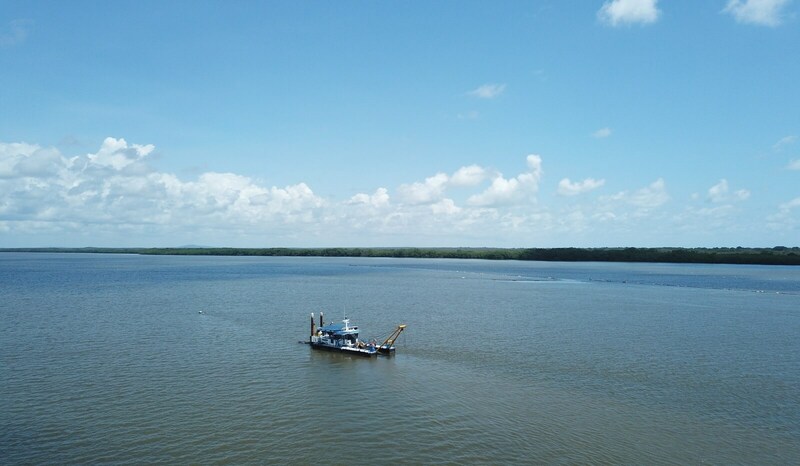 It will perform maintenance dredging tasks in the Lake Managua. 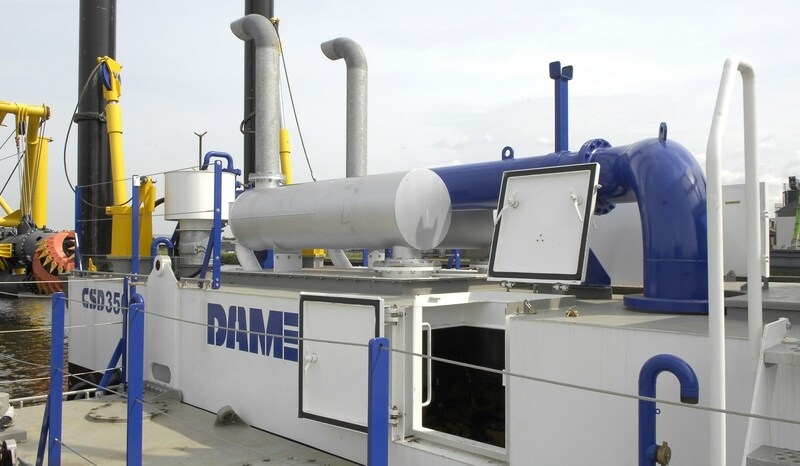 Cutter Suction Dredger 350 "YN561311"
Damen has recently delivered a CSD350, one of the smaller dredgers of her extensive range. 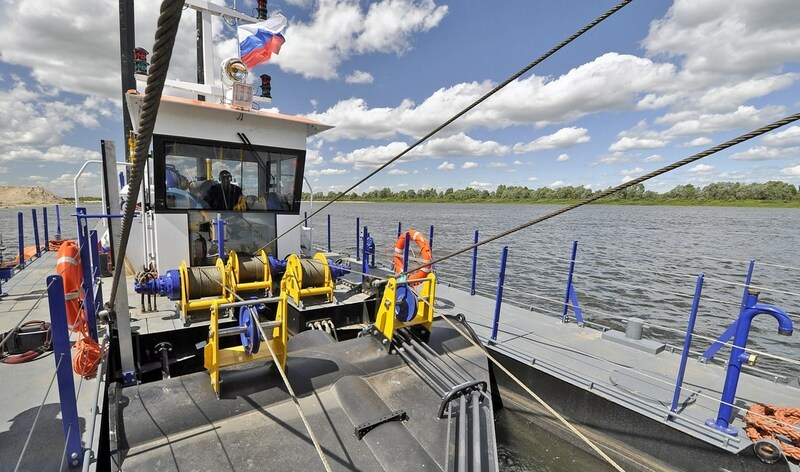 Cutter Suction Dredger 350 "YN561305"
A complete dredging package was delivered to Sudan in June 2009.